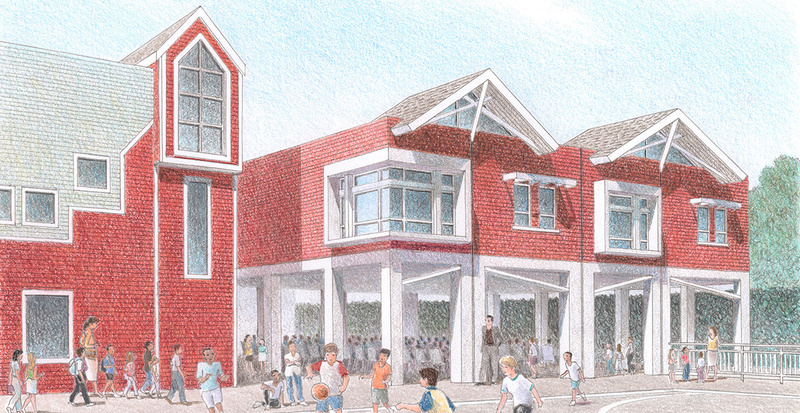 Unable to acquire additional contiguous land, the Hollywood Schoolhouse, a K-6 independent elementary school on a very constrained urban site in Hollywood, is working with Gruen Associates to add much needed modernized classrooms, support facilities and parking to their campus. 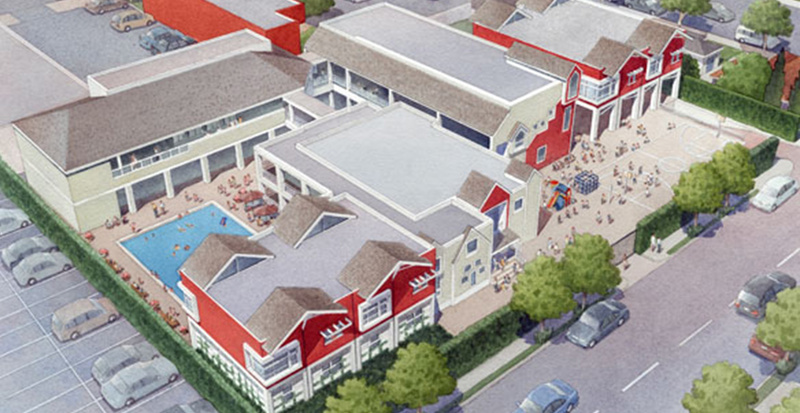 The solution involves adding buildings and below-grade parking in such a way as to preserve and even expand precious outdoor play space, reorganizing existing buildings to create a more unified and cohesive campus. The first phase, the renovation and reorganization of a classroom building, is complete. Construction on new classroom buildings began in the summer of 2013 and will complete in 2017.